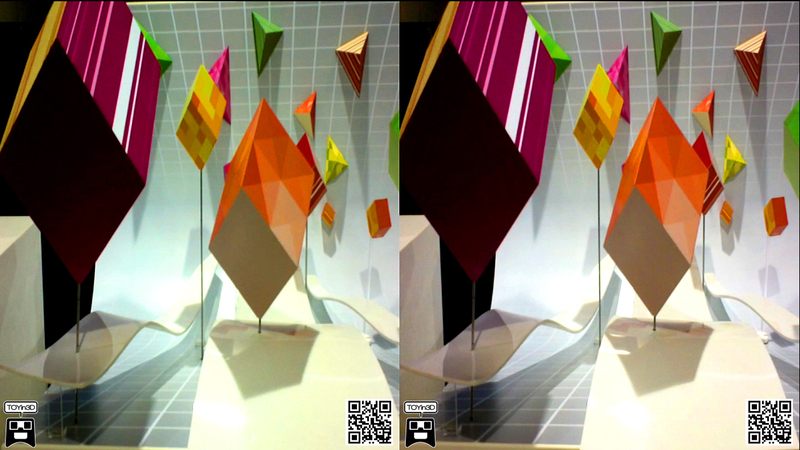 LG stand at MWC 2012, we filmed this 3D stereoscopic test. How can you check the 3D effect without 3D LG screen? Easy & cheap; scann the QR code [at the end of the story] with your 2D mobile; click on the 3D video test; and now enter your 2D mobile in the 3D viewer TOYin3D. Enjoy a 3D experience on your 2D Smartphone!!! Turn you 2D mobile into a full on 3D experience!!! Is LG’s new Optimus 4X HD quad-core flagship phone not your style? You’ll have many more options to choose from this year by the Korean manufacturer, judging from its showing today at the Mobile World Congress. The company unveiled its new L-Style series of Android phones, which target the more deal-savvy mid-range market, as well as an updated 3D phone, the Optimus 3D Max. LG also shows off the Optimus Vu, a 5-inch behemoth that will go toe-to-toe with Samsung’s Galaxy Note. The L-Style series includes the L3, L5, and L7 (pictured above), which rank in order from lowest-end to highest. The L3 sports a 800 megahertz processor, puny 3.2-inch display, and runs Android 2.3. The L5 ups the ante with a large 4-inch screen and Android 4.0, but it’s still stuck with an 800Mhz CPU. The L7 offers an even bigger display at 4.3-inches, Android 4.0, and a 1 gigahertz processor. All of the phones boast a thin and striking new design. For some reason, LG still hasn’t taken the hint that nobody wants a 3D phone. The Optimus 3D Max seems like a slight upgrade to its predecessor, with a brighter 4.3-inch display and wider 3D viewing angle. But it’s still stuck with Android 2.3, which makes the phone seem especially useless by this point.